Announcing a sweetener portfolio line extension: DOLCIA PRIMA® Crystalline Allulose. 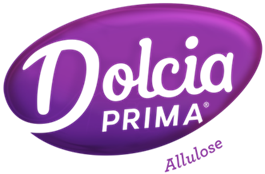 (LONDON) – 22 March 2017 – Tate & Lyle PLC (“Tate & Lyle”), a leading global provider of food ingredients and solutions, announces a line extension to DOLCIA PRIMA® Allulose, a low-calorie sweetening solution that provides the full taste and enjoyment of sugar, but without all the calories. The new DOLCIA PRIMA® Crystalline Allulose offers all of the same benefits as DOLCIA PRIMA® Allulose Syrup, and opens up new categories and applications such as tabletop sweeteners, dry beverage and meal replacement mixes, fat-based creams and chocolate confectionery. Allulose is a rare sugar that exists in very small quantities in nature. It can be found in foods such as figs, raisins, molasses and maple syrup. DOLCIA PRIMA® Allulose is approved for use and is available in the US, Mexico, Colombia and Chile, enabling food and beverage manufacturers to create healthier products with the taste, sweetness and texture that – until now – only sugar could provide. With obesity rates climbing to more than one-third of the US population,[i] food and beverage manufacturers have the opportunity to make a difference by offering more lower-calorie options to consumers. Allulose can play a part in empowering the industry to reduce calories and promote health and wellness. In fact, nearly 75% of health professionals indicate an interest in recommending products made using allulose when making suggestions to reduce excess calories[ii] They agree that their patients and clients are more likely to adhere to diet and lifestyle management if they have low-calorie options that have the same great taste and texture as full-calorie versions. Additionally, Tate & Lyle research has shown that DOLCIA PRIMA® Allulose does not raise blood glucose or insulin levels in healthy individuals and those with type 2 diabetes. [iii],[iv],[v] This innovative ingredient provides significant possibilities for the diabetes community. After developing numerous prototypes, Tate & Lyle understands how allulose works in combination with caloric sweeteners to effectively reduce calories in full-sugar products and when used in combination with non-caloric sweeteners it can be used to create healthier, tastier low- or reduced-calorie products. Because of its great taste and texture benefits, DOLCIA PRIMA® Allulose can be an integral part of an ingredient toolbox to help manufacturers reach calorie-reduction goals without sacrificing consumer acceptance. For additional information regarding DOLCIA PRIMA® Crystalline Allulose and DOLCIA PRIMA® Allulose Syrup, visit http://dolciaprima.com.